The Discover Blog returns to the First World War Centenary: Honouring Canada’s Victoria Cross recipients series, in which we profile each of Canada’s Victoria Cross recipients on the 100th anniversary of the day that the actions took place for which they were awarded the Victoria Cross. 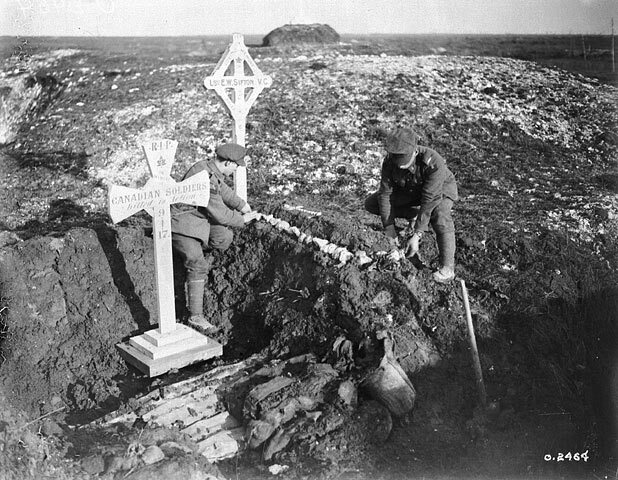 Today we present the story of three Canadian soldiers who were awarded the Victoria Cross for their actions on the first day of the Battle of Vimy Ridge. 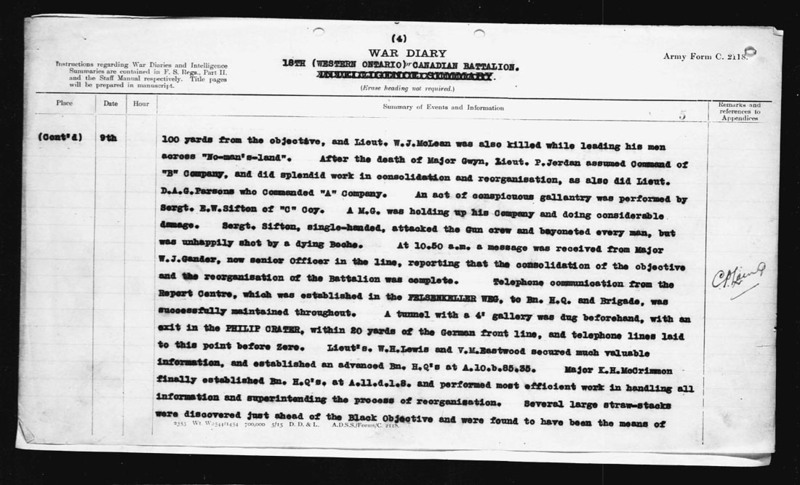 On April 9, 1917, Captain Thain Wendell MacDowell of Lachute, Quebec, and two runners, Private James T. Kobus and Arthur James Hay, became separated from their unit while storming a German position. MacDowell destroyed one machine gun and put another out of action. With Kobus and Hay, MacDowell entered a dugout, where he convinced the German soldiers he encountered that the three were part of a much larger force. Two officers and 75 soldiers surrendered to MacDowell, Kobus and Hay. The three men held the position for five days until relieved (London Gazette, 8 June 1917, no. 30122, p. 5702). MacDowell, a previous recipient of the Distinguished Service Order, was promoted to the rank of Major and later became Lieutenant-Colonel of the Frontenac Regiment in Napanee, Ontario. He died in Nassau, Bahamas, on March 29, 1960, and is buried in Brockville, Ontario. Private William Johnstone Milne was born in Cambusnethan, Scotland, and immigrated to Moose Jaw, Saskatchewan, in 1910. He enlisted in the 16th (Scottish) Battalion and was serving near Thelus, France, on the first day of the Battle of Vimy Ridge. That day, as the advance of Milne’s company was held up by a German machine gun, Milne crawled forward and captured the gun. When his company was on the move again, Milne targeted another machine gun in the German line and succeeded in silencing it. His citation for the Victoria Cross states that his “wonderful bravery and resource on these two occasions undoubtedly saved the lives of many of his comrades” (London Gazette, 8 June 1917, no. 30122, p. 5705). Private Milne was killed shortly after destroying the second German machine gun. His body was never recovered. He is commemorated on the Vimy Memorial, along with 11,000 other Canadians who died in France and have no known graves. 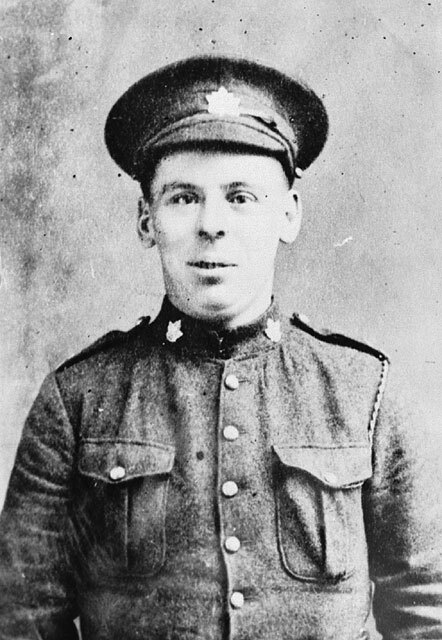 Lance-Sergeant Ellis Wellwood Sifton of Wallacetown, Ontario, enlisted with the 18th (Western Ontario) Battalion to serve as a battalion driver. Before the attack on Vimy Ridge, Sifton was asked to “take a chance with the boys in the front line,” a challenge he accepted. With his company under heavy machine-gun fire near Neuville-St. Vaast, France, Sifton located the German machine gun nest. He went through a gap in the wire, ran across open ground, charged the gun crew and managed to knock over the gun before fighting the gunners. As others in his company came forward, Sifton held off a German counter-attack (London Gazette, 8 June 1917, no. 30122, p. 5704). Just as he was about to be relieved, he was killed by a wounded German soldier. 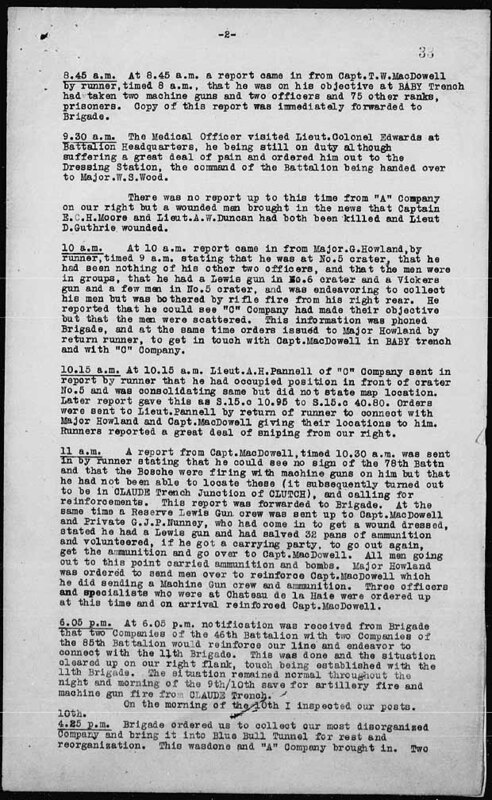 Library and Archives Canada holds the military service files for Captain Thain Wendell MacDowell, Private William Johnstone Milne and Lance-Sergeant Ellis Wellwood Sifton. 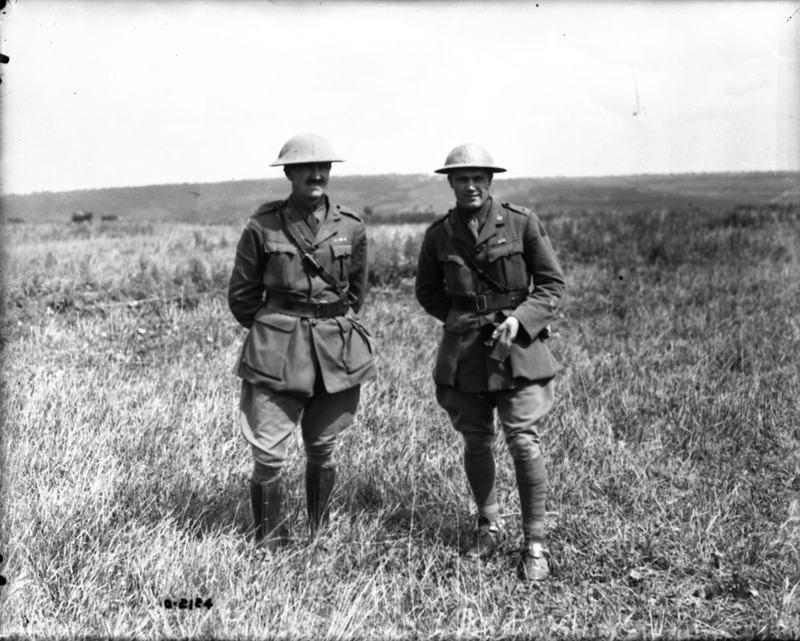 This entry was posted in Military Heritage and tagged Canadian Expeditionary Force, First World War, Military, VC, VC series, Victoria Cross by Library and Archives Canada Blog. Bookmark the permalink.